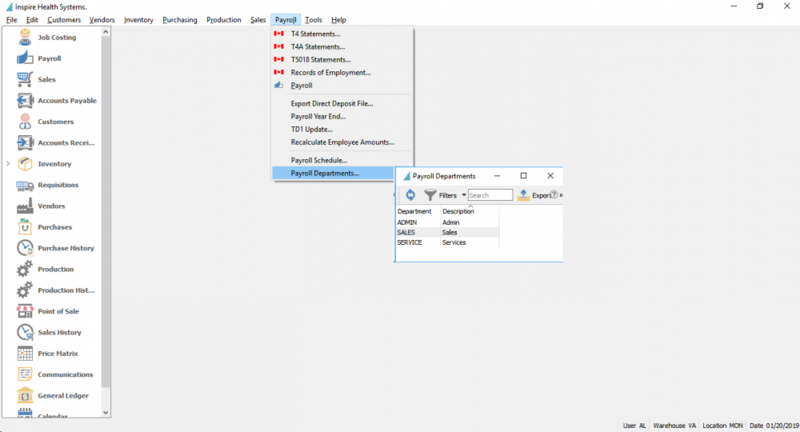 These settings are used to define each payroll department. Then, each employee would be added to one of the departments. This is where the GL accounts are selected so that the employee department posts to the correct GL accounts. *Note – If vacation expense account is filled in, payroll timecards will post vacation expense to the selected GL account. 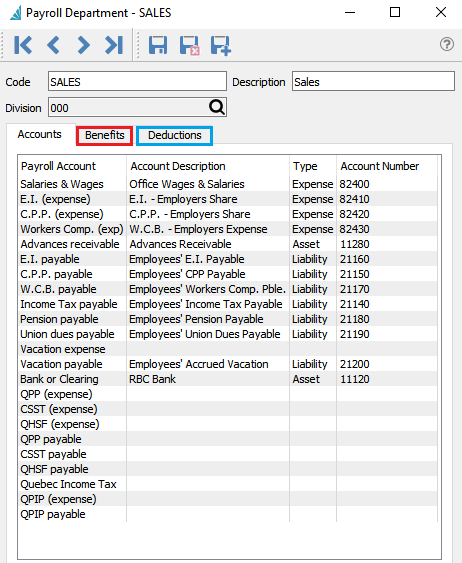 If it is not filled in then payroll timecards will post vacation expense to the employees “Salary and Wages” account. 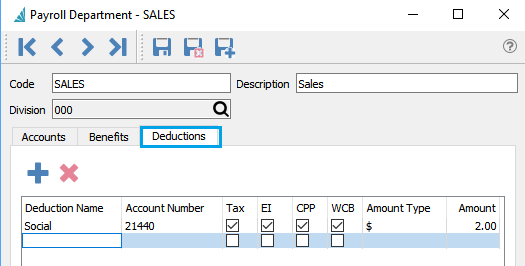 Setup each deduction with a GL account and give it a name that will appear in the employee record and on timecards. Give each benefit a name. The benefit will be further defined when editing the employee record. 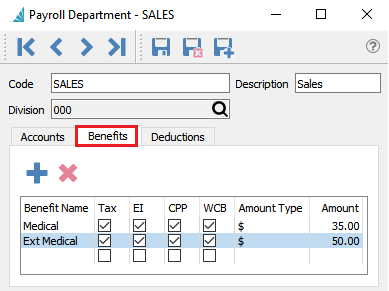 *Note: When amounts are set for deductions and benefits for the payroll department, and an employee is changed to this department they will have these default amounts applied. However each employee amounts can be edited as required.